Rockman Corner: Capcom to Close Off 30th Anniversary With "Rockman Goods Festa"
Capcom to Close Off 30th Anniversary With "Rockman Goods Festa"
Rockman's 30th anniversary is winding down and Capcom intend to close it off in style. 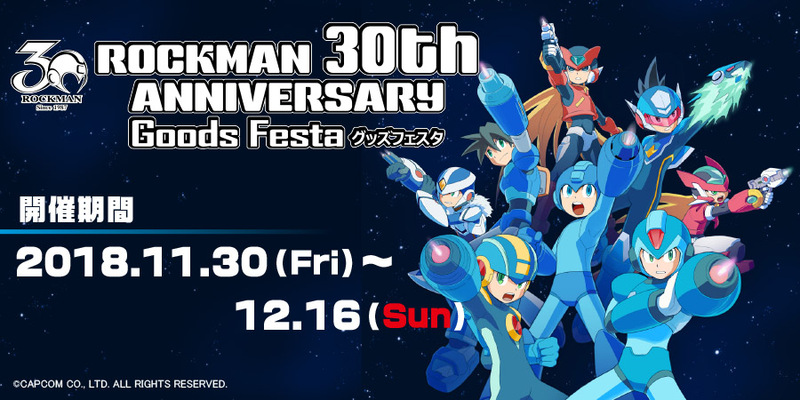 The house that built the blue bomber has announced the "Rockman 30th Anniversay Goods Festa", an event planned to take place in 13 different stores across Japan and the Hanayashiki Park (where Rockman Unite Final is happening). 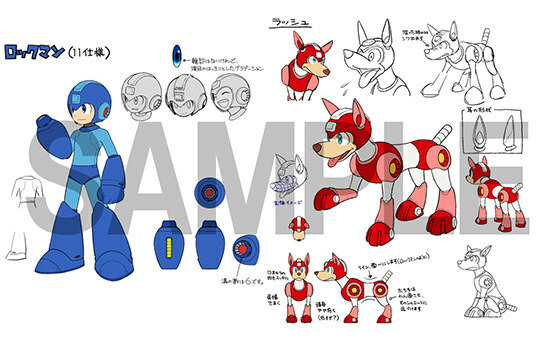 At the Good Festa, fans can buy new and exclusive Rockman items and visit a mini museum with artwork from the entire franchise. 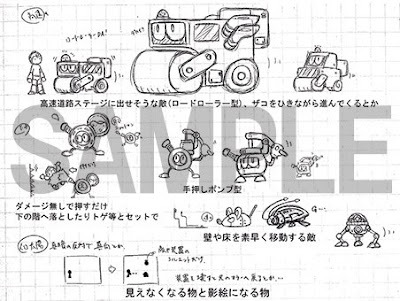 There's even some unseen material from Rockman 11. The mini museum will reportedly be different in each shop so it's recommendable to visit as many stores as possible! More information and images of the items on sale after the break! More items will be revealed soon! Costumers that purchase goods worth over 2,000 yen will receive a two postcard set. 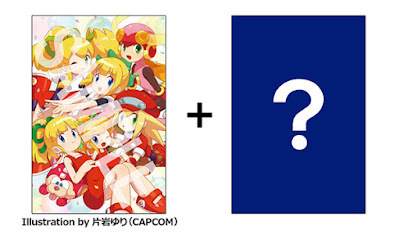 The first card is a new version of the popular Roll artwork (illustrated Yuri Kataiwa) that was originally used to for a jigsaw puzzle back in 2011. The second postcard has yet to be revealed, but it will be drawn by Tatsuya Yoshikawa. An example of the concept art on display at the mini museum. The event will kick off on November 30th, ending on December 16th. More details here. I'm in Tokyo and I will happily attend. Thanks for the information, or else I wouldn't know about these events! X goods, here I go! Damn, i'm going in Japan at the end of this year, but one day after this event. Here is something to relax everybodies nerves about MM11's sales. according to VGChartz Mm11 sold over 150,000 copies total. And this only counts physical sales. I imagine this game is doing GREAT digitally too. It sold over 100,000 copies on switch, over 30,000 on ps4 and roughly 10000 on XB1. VGChartz isn't a trusted source for accurate sales data, I'm afraid. Now i'm sad😭 how inaccurate can it be protodude? Very. VGChartz is more or less made up/guestimates. Various people within the industry will back that claim up. Only sales data source you can trust is NPD, MediaCreates, and press releases put out by publishers. Firstly, VGChartz is not reliable, and secondly even if it was 150K worldwide is horrendous. Wait a sec I thought that was probably a pretty standard number for Megaman games to sell considering that only like 6 games in the entire franchise sold over a million. I'd name more and I'm sure there are more (Mega Man Legacy collection, X5, X2, X3, MM4, MM5, MMZ, MMZ2 etc but I don't have numbers for those across the board but it is almost guaranteed they sold over 400,000 in total since in Japan alone they've sold multiple hundreds of thousands. 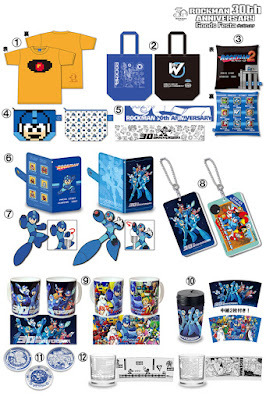 A Mega Man game at best globally selling 200,000 or lower in total is ... dark age material. Not saying this will be Mega Man 11's fate but globally selling less than 200,000 after a big return at a cheap price after two months on the market is.. not a good look since that is the time frame of most sellings. My girlfriend made me a Yellow Devil sweater that looks almost exactly like that over two years ago for Christmas using iron-on paper. I guess I probably shouldn't let Capcom know about it then. Oh damn, I want the all the stuff with the 30th anniversary art on it.